These packs will contain golf balls that have a scuff mark and may be slightly off color. They will look like the balls that were played 1 round or so. These balls are ideal for golfers who lose a few balls a round or anyone looking for friendly game and are not too concerned about losing some balls. 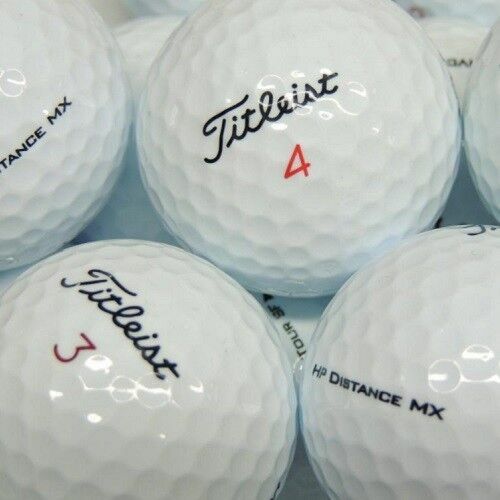 These are balls for the golfer that wants top brand name balls but wants to pay the lowest price possible as an economy ball. Please note that there may be corporate logos in this mix. This grade is also known as "Good", "3rd Grade" or simply "AAA"
Best golf balls I have found all around. Great Value for a College Fan that plays Golf! Oklahoma Sooner Grad So I like playing these golf balls.Being it is a Titleist is an even bigger bonus!